Though this weather might have you reaching for a refreshing ice-cream or cold drink, there’s always someone willing to push themselves when it comes to spice. 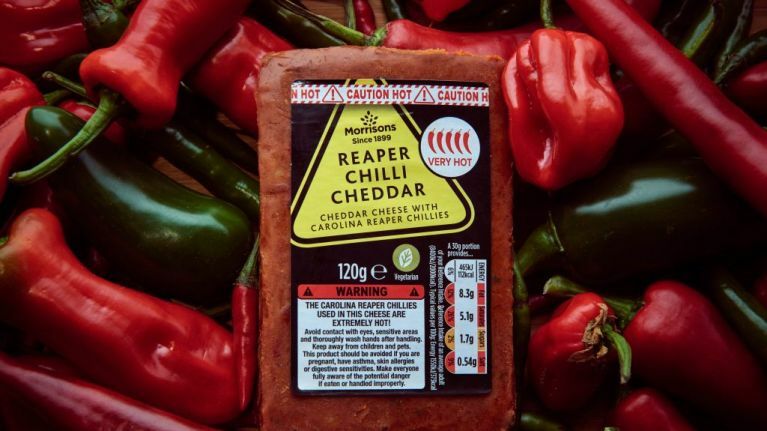 And good news if that’s you, as Morrisons has just released a new type of cheese made from the hottest chilli pepper in the world – the Carolina Reaper. As a rule, most things taste better with cheese. But this could be enough to put you off cheddar for some time. Or maybe you’ll love it, there’s only one way to find out. Despite the ominous warning on the packaging, I bet this could go down a treat at a barbecue, don’t you? Or pop a slice on someone’s burger without telling them and watch the hilarity/hospitalisation ensue. 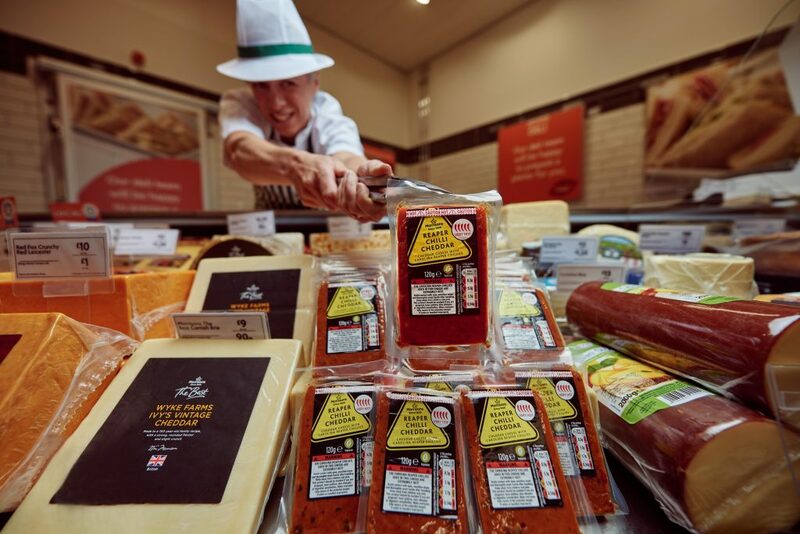 The Reaper Chilli Cheddar costs £1.50 for a 120g portion, which should probably last you a while as I doubt you’ll need much in your sarnies to feel its effect. According to the Guinness World Records, the Carolina Reaper has an average heat level of 1,569,300 Scoville Heat Units (SHU). While the humble jalapeño has merely 5,000 SHU. In layman’s terms, it’s hot. Very hot. Eat with caution. 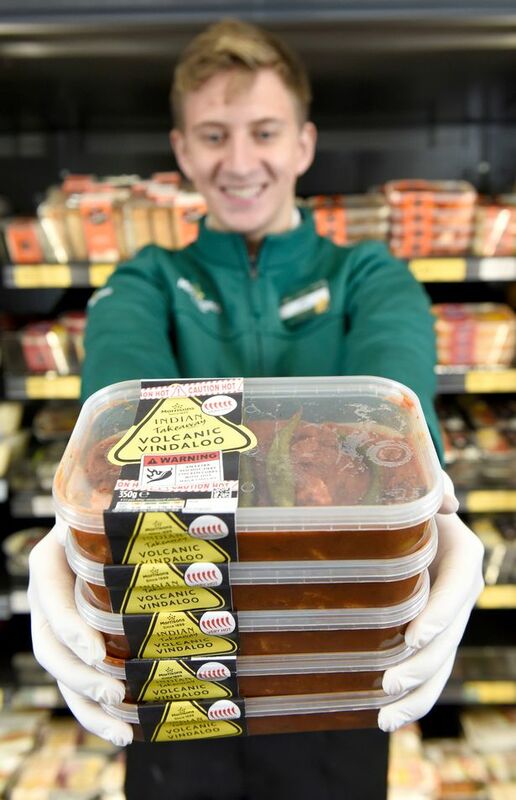 If cheese isn’t your thing but you’re still craving that spice kick, Morrisons relaunched their ‘Volcanic Vindaloo’ just in time for the World Cup. Which means as well as getting stuck into a curry, you’ll also get that song stuck in your head. Though it’s not served in a bucket (you have to do that bit yourself), the curry officially holds the title of the hottest curry on our supermarket shelves, and is available in Morrisons stores all over the country right now. Even better, the vindaloo costs just £1.50 and a key ingredient is one of the hottest chillies in the world – the Naga Viper. The Volcanic Vindaloo has a six chilli heat rating, which was previously unprecedented on the supermarket’s scale.